(Tipp City, OH) – Lace up your sneakers and get ready to run a new path in the 15th Annual 2017 New Path 5K/10K Walk/Run, Saturday, April 29, 9am. Both the 3.1-mile course and the 6.2-mile course are open to runners and walkers – young and old. Childcare will also be available for children age eight and under. Proceeds from this event are donated to New Path Inc., an organization that aids families in the Miami Valley with food, housing, furniture, health equipment and supplies, clothing and transportation. "The 5K is a great way for runners and walkers alike to gather to make a difference in our community by creating a bridge for those who need a hand up, not a hand out, in their time of need," shares Sherry Loschi, New Path race coordinator. "Most 5K's have a charitable purpose, but the New Path 5K/10K specifically has a tangible purpose that impacts the very core of our community," said New Path 5K runner, Karen Smith. Last year the New Path Food Pantry served 44,552 people in the Miami Valley. It's Open Table program provided 2,371 full-course meals and the GIVE Medical program offered assistance to 3,249 people with short or long-term disability needs by providing medical equipment. This year's race is set to raise nearly $10,000 for these needs through New Path, a 501(c)3 non-profit organization. A special drawing for families will be held if families with children register before Friday April 14. Prizes include tickets to Kings Island, Aullwood Audubon Center & Farm and many more family activities. Runners can register online at speedy-feet.com by clicking on the races tab and selecting Ginghamsburg New Path 5K/10K. A discount is offered if participants register before Thursday, April 27. Walkers and runners can pick up their race packages the day prior to the race on Friday, April 28 at Up and Running located at 12 South Market Street, Troy. Store hours are 10am-7pm on Friday. Race packages will also be available the day of the race in the Avenue at Ginghamsburg Church, 6759 South County Road 25A, Tipp City, where the race will start. Registration begins at 7:30am. 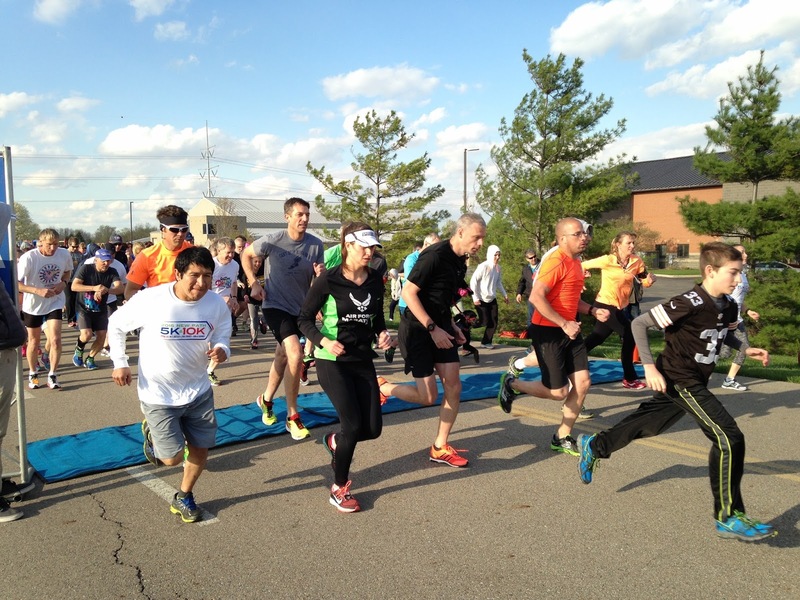 The New Path 5K and 10K races are timed from start gun to chip finish. 10K participants will run the route twice. Timing and results provided by Speedy Feet Racing. Awards for each race are presented to the top male/female participants in each age category, which are divided into five-year divisions. The awards ceremony begins at the conclusion of the run/walk. Awards of $100 will go to the first place male and female course record breaker. Awards of $50, $30 and $20 will go to the top male and female finishers. Awards of $20 will go to the top male and female participants over age 40. Pre-register by April 27 to be eligible for door prizes and be able to purchase a shirt.